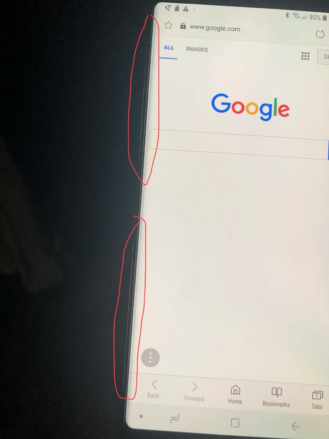 So far, all reports we've seen for the issue have this bright line down the left side of the phone a few millimeters past where the screen ends, where the curved glass edge nestles into the bezel/frame of the phone. In some cases, the bright line isn't continuous. 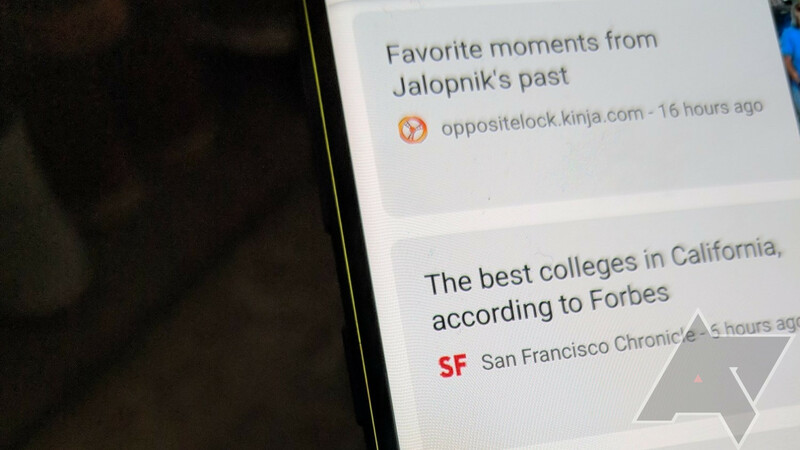 One of our review units has the problem, and former Android Police author Paul Fidalgo swapped his at least 5 times looking for hardware without the defect. I'm told by those affected, which includes our own David Ruddock, that "you can't un-see it." David's Note9 (left), fismd's Note9 on the AC forums (right). Not all units appear to suffer the problem. Fidalgo, in his hunt for the perfect Note9, found one that wasn't affected: a Best Buy display unit. 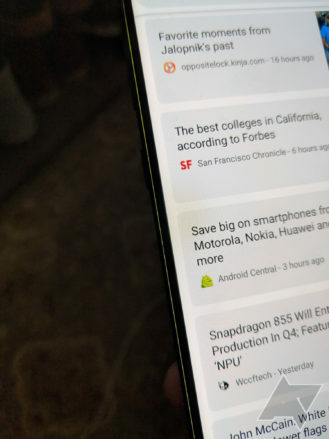 AP's Ryan Whitwam was also unable to notice any similar problem on his Note9. It's conjecture, but we think the issue might be a result of internal reflections in the glass propagating to that edge. There the glass ends with a slight gap between it and the bezel, and the light is "leaked"/projected out. It could be that not all phones have that gap on the left edge for some reason, like a difference in manufacturing tolerances or glass placement during assembly. We reached out to Samsung, and they're looking into the issue. In the meantime, at least the problem is only an annoyance. It doesn't impair use or functionality in any way. We're told some other curved screen Samsung phones like the Note8 and S9 have exhibited identical problems — apparently going as far back as the Galaxy S6 — though we've never heard of the issue ourselves before today. 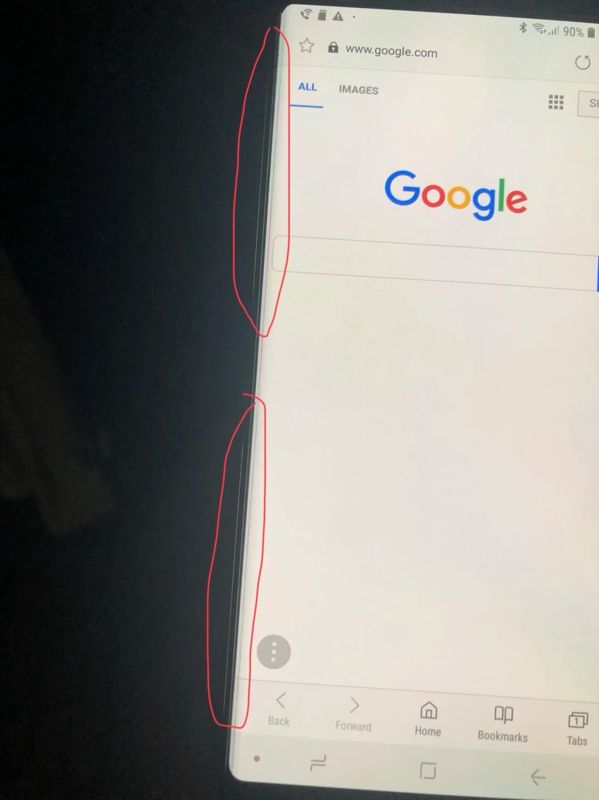 Looking at his S9+ with a more critical eye, David notes his unit has a very mild form of the problem, but the "leak" on his Note9 is far more apparent, with a much larger gap.